It may be a little ridiculous, to some people, how much we looooove lavender. I suppose we've always loved lavender but it all got obsessive when we made this lavender simple syrup to pour over fresh strawberries. 'Twas delightful. So we started using the simple syrup for anything. We sweetened iced tea with it and even mixed it with whipped cream. And now, we've used it to make lemonade. This recipe is so simple. 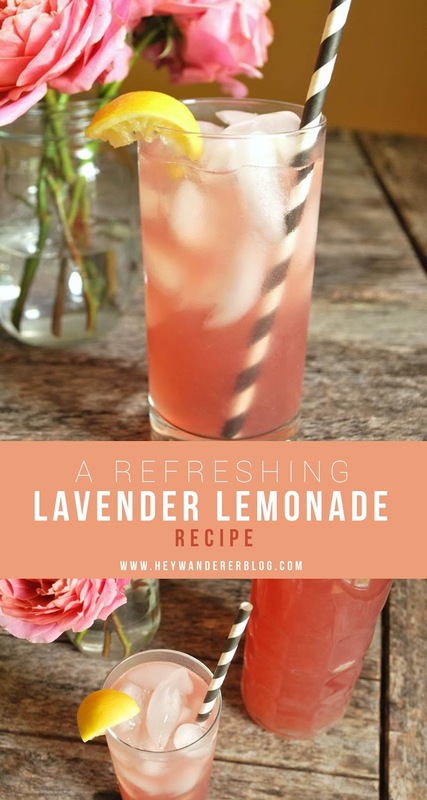 It really adds a special touch to plain lemonade and the lavender gives such a pretty color to the drink. 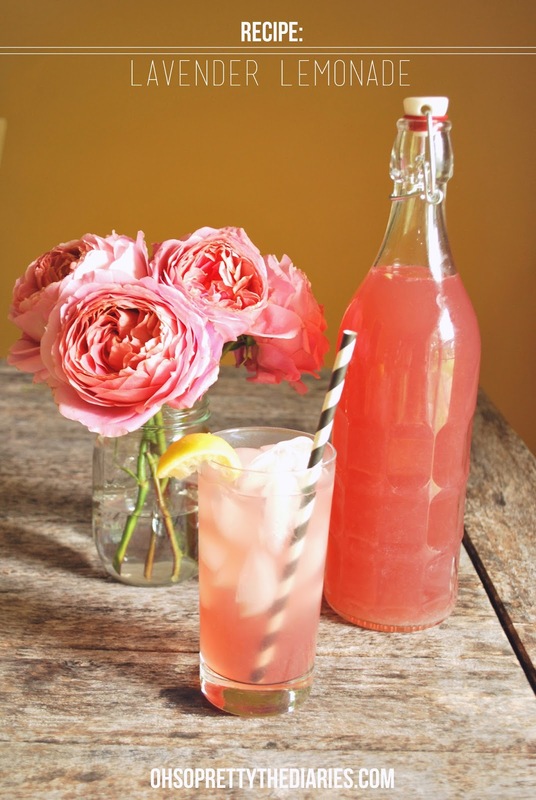 It's refreshing and I imagine we will be keeping this beverage on hand all summer long! 1. Bring Sugar and 1 1/2 Cups Water to boil. 2. Add Crushed Lavender and remove pot from heat. 3. Let mixture cool and refrigerate for at least an hour. We let our sit for about 3. 4. Strain the mixture into a pitcher. It will be a darkish pink color. 5. Add the lemon juice and the rest of the water (5 cups). 6. Serve over ice and garnish with a lemon slice! If you liked this post and would like to see more like this, please pin the image below! And if you aren't already, follow along on Instagram for more day to day interaction! I really want to try this! It sounds so delicately good! This looks yummy and pretty, definitely going to have to give it a try! I love varieties of flavored lemonade. I've never thought of this before but I'm so wanting to try it. But I have the same question as Robyn. Can you just buy it at a grocery store?